1Not available with special financing, lease and some other offers. See dealer for details. 2Conquest % Cash Back. Stackable % Cash Back for customers who have owned or leased a 2005 or newer Non-GM Vehicle for a minimum of 30 days. Allowance Available on Retail Program info. Compatible with % Off and % Conquest Private Offer ONLY. All Programs Effective Until 4/30/2019 Unless Otherwise Indicated. 3Not available with special financing, lease and some other offers. See dealer for details. 4Must qualify through GM Financial. Not available with special finance, lease, or some other offers. Take delivery by 04-30-2019. See dealer for details. 5The dealer in this advertisement & their marketing firm are not responsible for errors or misprints. Prior Sales Excluded. All incentives to dealer. Vehicle photos intended for illustrative purposes only. *Maximum cash savings on in-stock units only while inventory supplies last. $8,337.00 cash savings in lieu of any special finance rates and cannot be combined with leases,special APR or any additional coupons or offers including GM Discount Programs. $8,337 maximum savings specific to stock #N305460, 4WD Premier with MSRP $76,330.00. Your total savings and "buy for" price will vary based on availability and the vehicle you choose. $8,337.00 is the total and maximum savings after all rebates, coupons and dealer discounts. Savings include GM Supplier Pricing plus rebates, including GMF Down Payment Assistance; must finance through GM Financial at standard rate (lender approval required) and Chevy Conquest Cash Rebate - must prove ownership or lease a qualifying 2005 or newer non-GM vehicle. Advertised pricing does not include tax, title, DMV, or $79 Dealer DOC Fee. Offer applies to qualified retail purchase only when financed through GM Financial. See dealer for complete details. All offers expire 4/30/2019. Are you looking for an SUV that comes with the ideal combination of technology as well as design? Then take a look at the new Chevrolet Tahoe, offered at Ingersoll Auto of Pawling. We've got a huge inventory of this full-sized SUV to help you decide upon. Its stunning exterior features high-intensity discharge headlamps that help improve down-the-road line of sight in low-light conditions. The interior of this bold vehicle is fitted with an acoustic-laminated windshield and inlaid doors with triple seals that provides peace of mind and tranquility you need whilst spending time with all your family. Equipped with innovative technology like seven USB ports, a 110-volt three-prong outlet, this SUV suits your comfort as well as necessities that are needed when driving. This SUV with its V8 engine furthermore provides exceptional fuel efficiency. Using the head-up display technology, you'll have all the info you would need right where you would want it. This vehicle carries a complete lot of security technology, like front and rear park assist, rear vision camera, and side blind zone alert with lane change alert, to warn you of any type of approaching peril, therefore safeguarding you against any sort of untoward incidents. 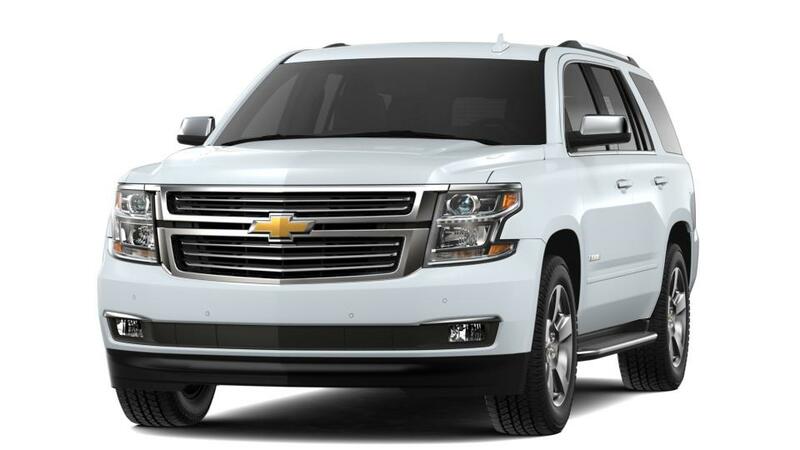 Test-drive the new Chevrolet Tahoe at our Pawling dealership near New Milford and Poughkeepsie today! Check our hours and direction page today!